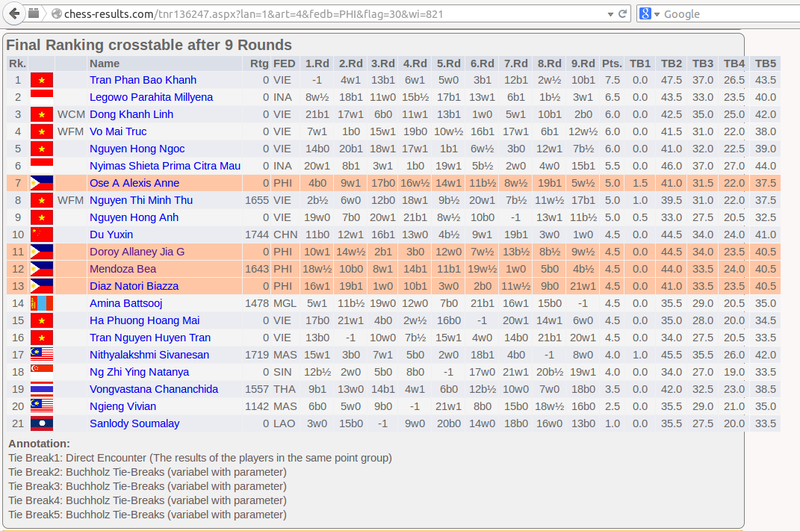 Here is the result of the recently concluded 15th ASEAN Age Group Chess which was held for the first time in Sands Cotai Central, Macau which is outside the original ASEAN countries. 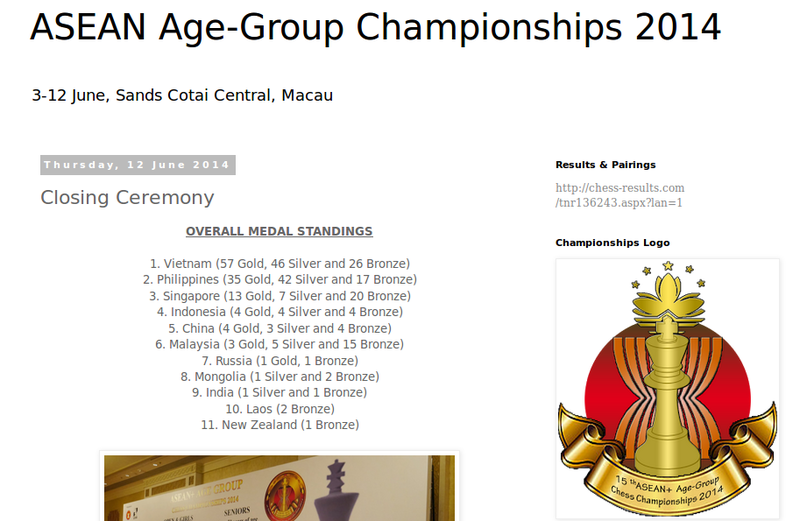 Bea Mendoza won 2 Silvers and 1 Bronze in the age-14 category. An outstanding feat since she competed against girls two years older than her.